Trying to make up your mind? The HC Wellness Center offers both traditional and alternative therapies to assist clients in achieving optimal health, wellness and balance. Featuring as its principle service Colon Hydrotherapy, formerly seen only at fine spas and destination resorts, HC Wellness Center & Spa is one of the first to offer this valuable wellness service to the Charlotte Metropolitan and surrounding areas. 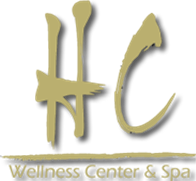 HC Wellness Center & Spa is a premier North Carolina spa providing the most luxurious, and beneficial wellness and beauty services available to the Charlotte Metropolitan and surrounding areas. Established in 2004 with the vision of combining traditional spa treatments, that promote relaxation and well being, with the most advanced skin, body and wellness services. The HC Spa supplies a moment of luxury for your body, mind and spirit. Here nature and science meet harmoniously as the finest massage, skin care and spa treatments await you.